I had a Jimmy V day today. I thought. I laughed. And I cried. A little girl and her family received some wonderful news today. Remember the story I wrote a few months ago about Devon Still & his daughter, Leah(https://kassienetteskorner.com/2014/11/07/the-father-daughter-story-that-is-inspiring-millions/)? Well today, they received the news that Leah’s cancer is in remission!!! Thank you LORD! While scrolling through my Instagram, I saw that the NFL has re-posted Still’s image. After only reading the first two sentences, I immediately knew what the rest of the text would reveal. Every day so many people experience heartbreak due to this cruel disease. And it seems to overshadow all the stories of survival. So when anyone finds victory, on this side of the disease, I rejoice! That victory is often played out in public by adult figures. 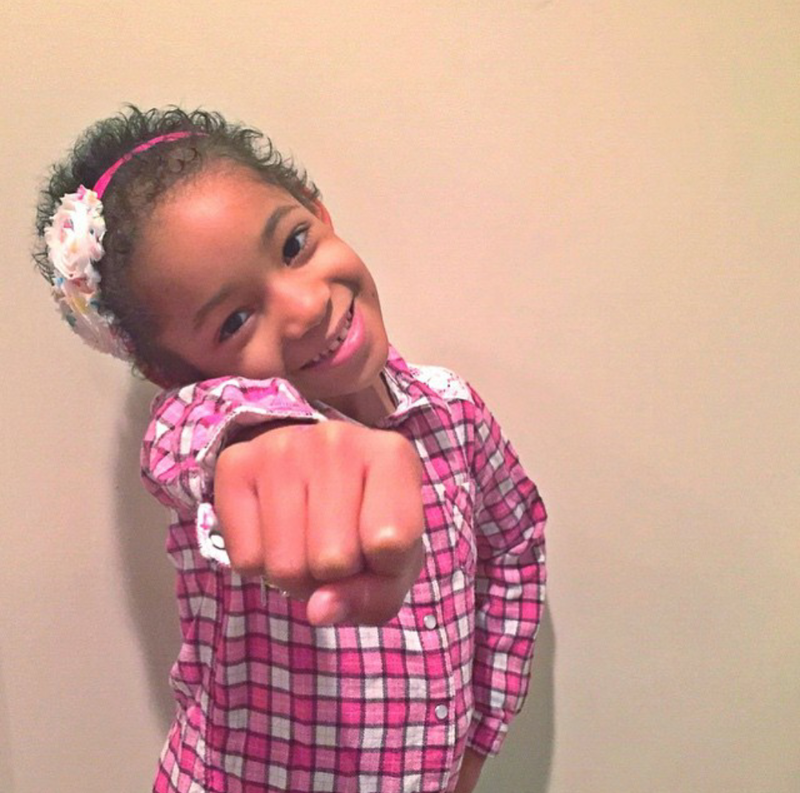 It is rare that we get to see someone as young as Leah give the disease a knockout punch. Yes, it happens daily and I hope we get to hear more stories such as hers.